This product not only cleans, but also disinfects. Also excellent for getting rid of fish smells and fish blood. 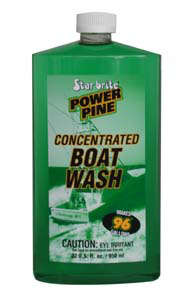 Cleans fiberglass, painted surfaces, fish boxes, windows, canvas, rugs, bright work, etc.